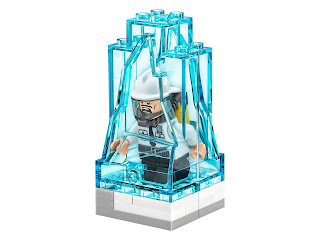 come with a power plant, an openable transparent blue ice prison and a mr freeze’s exosuit. 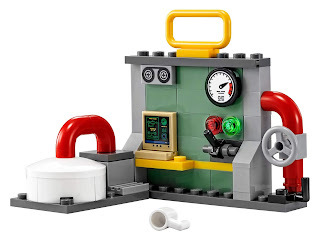 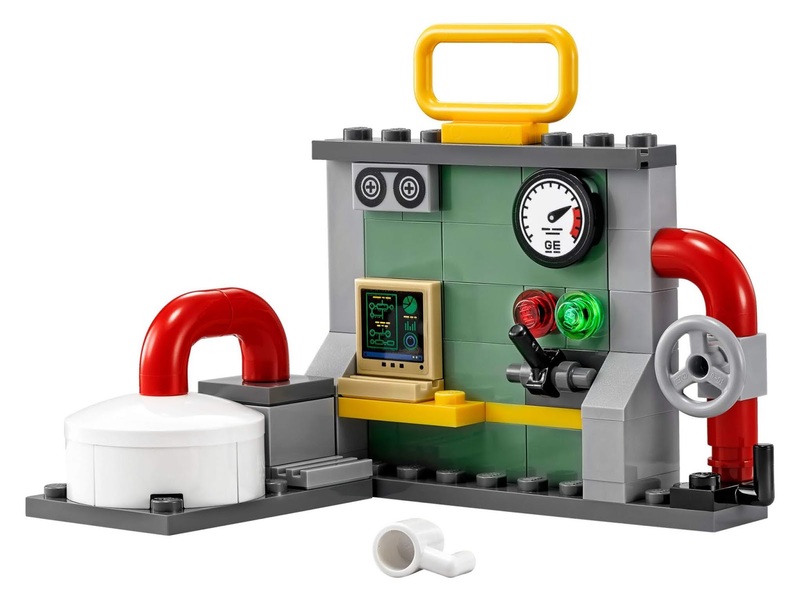 the power plant has a silo with pipe and an adjustable lever, a computer, a pressure meter, a mug and transparent light elements. 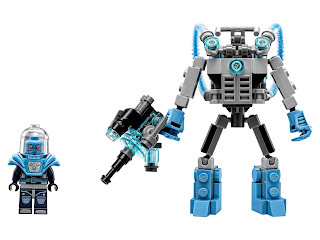 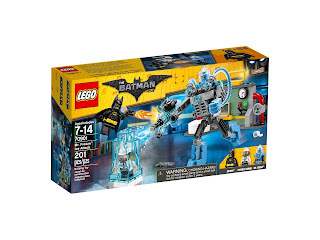 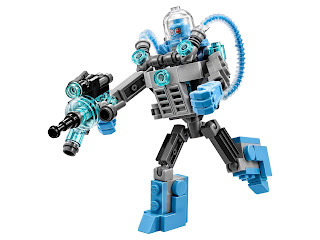 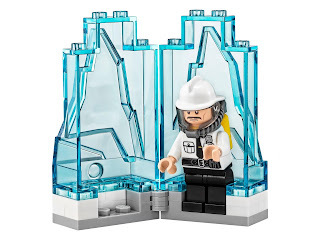 the mr freeze’s exosuit has a stud shootable freeze gun, a minifig room, posable joints and transparent elements. 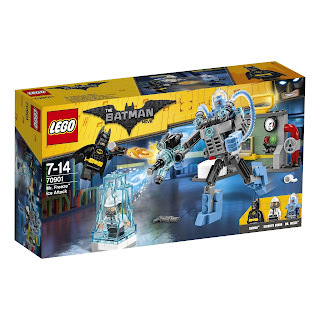 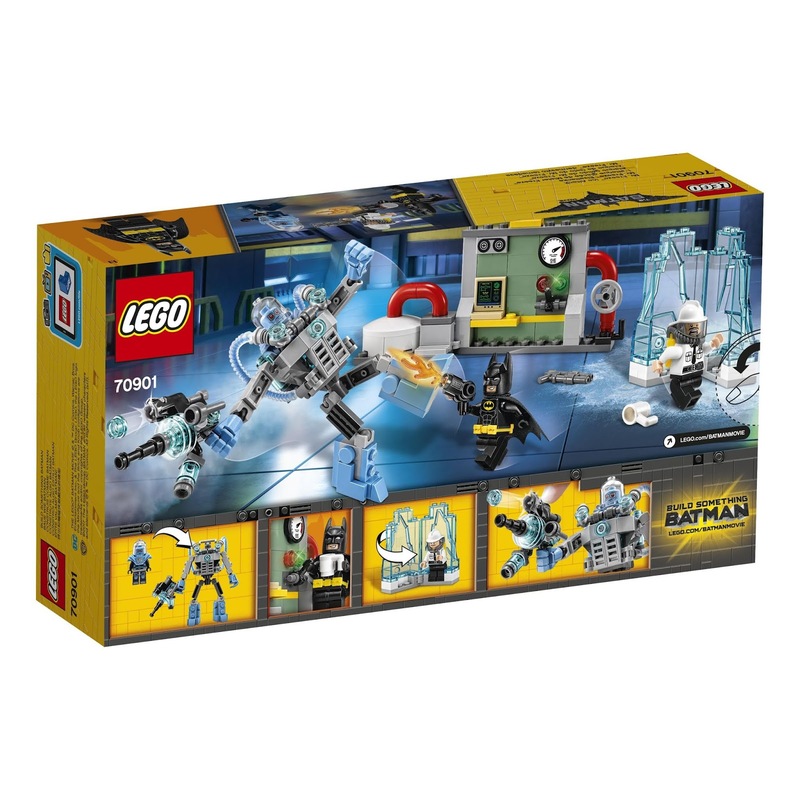 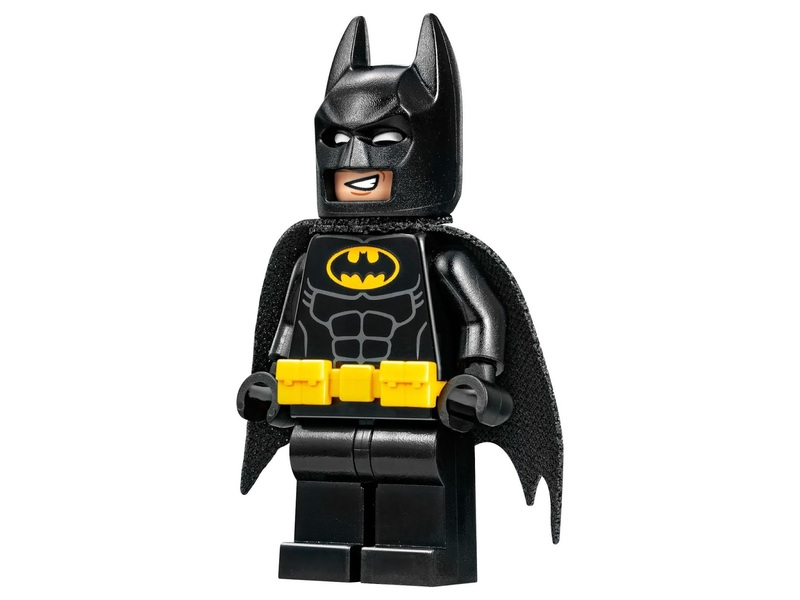 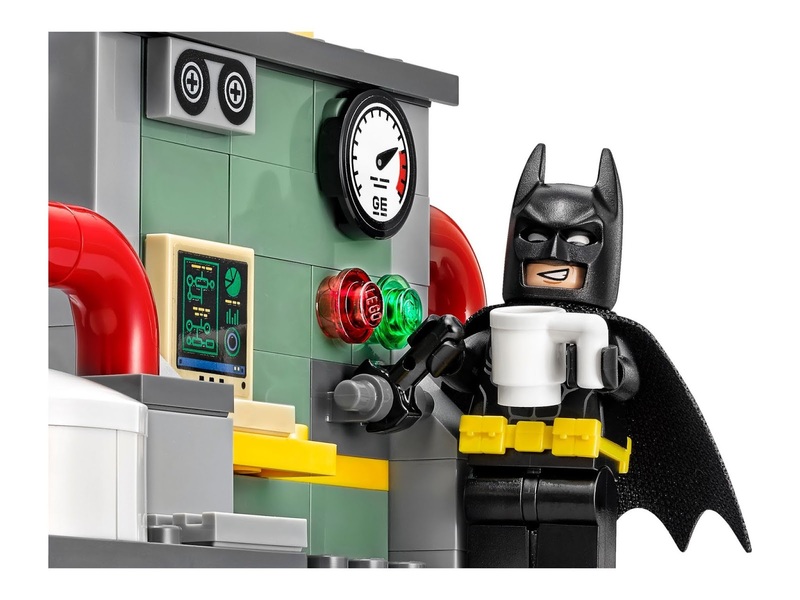 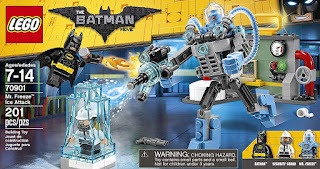 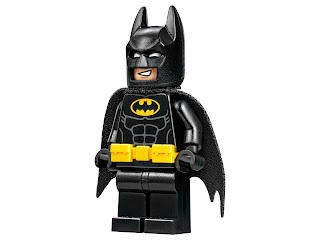 minifigs included a batman minifig, a mr freeze minifig and a security guard minifig.